List is for one sheet of Ply Hardwood Marine W.B.P GlueLine Eucalyptus solid core. 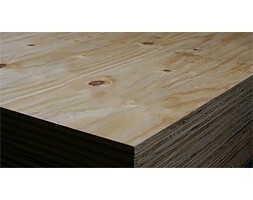 PPR’s Premium Eucalyptus core Plywood is an affordable option for construction, furniture and flooring needs. It is lined with Half Pencil Cedar Veneer providing a protective high-decay density layer and easy workability with its easiness to cut, saw, nail and glue for the eucalyptus inside.